I used to complain that too few new musicals were opening on Broadway. A metaphor comes to mind: a field of dirt had grown so hard, very few seeds could take root. I don’t know whether we can rightly call Hamilton a massive plow that turned over the soil, but, folks, this is one exciting season. The quantity of truly new musicals (I don’t include Irving Berlin’s Holiday Inn), who they’re by, what they’re about – all good. The field’s a blooming miracle. Here’s another image of tearing down and starting over, a palpable revolution: Take a large old theatre and tear out all the seats. Create little stages all over the place, so that action occurs all around the audience. This is Natasha, Pierre and the Great Comet of 1812. Dave Malloy’s songs are markedly different from anything I’ve ever heard on Broadway. Now, that title’s so unwieldy, people aren’t sure what to call it. It reminds me that in the heyday of the Broadway musical, shows often had titles that were different from their source material: Sweet Charity, Hello Dolly, Promises Promises, A Little Night Music, Man of La Mancha, to name some hits. In recent years, tons of shows based on movies have kept those titles, hoping to lure fans of the flicks to buy tickets: Legally Blonde, Catch Me If You Can, Sunset Boulevard, Waitress. So, you know what Natasha Pierre and the Great Comet of 1812 is based on? A small section of War and Peace. But that’s in the fine print. Josh Groban’s name is far bigger because he’s the thing that used to be common and now is rather rare: a big Broadway star whose name sells tickets. The Comet‘s chief competition in the Tony race so far is a totally original musical named Dear Evan Hansen. It’s gratifying to see its recording ascending the Billboard sales chart like no show has for half a century. Songwriters Benj Pasek and Justin Paul are young theatre people who are certainly having their moment in the sun: they also wrote the lyrics to La La Land. Composer Alan Menken has many Oscars on his shelf. For 35 years, he (certainly not Sondheim) has been the dominant show tune-smith. His new show this season is based on Chazz Palminteri’s memoir that became a monologue for the theatre and then a fine conventional movie about a quarter century ago: A Bronx Tale. Lyrics by Glenn Slater. Each songwriter has another musical running on Broadway now: Aladdin and School of Rock. You may recall I was disappointed by In Transit, but, setting the execution aside, the kind of show it is gladdens my heart. It’s not based on anything. It’s unusual in that there’s no orchestra: it’s all a cappella, the vocal accompaniment musical directed by my old friend, Rick Hip-Flores. The four writers have devoted themselves to theatre-writing – it’s their Broadway debuts – which, to my mind, is SO much better than when rock stars come slumming here, figuring, like a dilettante, that they’ll give Broadway a try. So that’s what the season has been so far. What’s to come is also cause for excitement. Come From Away, which I described last September, may be the right show for this turbulent time, since it’s the true story of Canadians welcoming immigrants. Totally original, and its writers’ debuts. Amélie is songwriter Daniel Messé’s debut, and I know it seems as if I’m just giving my é key a workout, but Messé has teamed up with Broadway vets Nathan Tysen and Craig Lucas, who always does interesting work. Scott Frankel and Michael Korie are songwriters of such quality, I’m automatically interested in anything they do. In War Paint, they’ve two major Broadway talents heading the cast, Patti LuPone and Christine Ebersole. Big stars in an original musical? That doesn’t happen often these days. It now strikes me that my sister has seen those last two shows, and I haven’t. But I don’t get to everything: For years I’d walk past the August Wilson Theatre and see the same marquis for Jersey Boys and have no interest in stepping inisde. The second day this month, I was startled to see the familiar sign was gone. Instead, in rather plain lettering, it said Groundhog Day. Since it was, in fact, Groundhog Day, I thought maybe they were just telling everybody what day it was. But the sign has stayed, so I’m reminded that the most eagerly-anticipated musical of the current season is, indeed, Groundhog Day, based on the beloved film, with songs by Matilda’s Tim Minchin. Years ago, Stephen Sondheim was working on an adaptation. Perhaps one day we’ll all wake up day after day and see it again. The other London transfer is Charlie and the Chocolate Factory, with songs by Broadway vets Marc Shaiman and Scott Wittman. Besides name recognition and family-friendliness, Willy Wonka will be warbled by two-time Tony winner Christian Borle. So there’s plenty of reason to believe this will be a Golden Ticket. The songwriters I’m most enthusiastic about are Lynn Ahrens and Stephen Flaherty. They’re adapting their animated film Anastasia for the stage. So, that’s a score we already know some of, and the some we know is choice. But I don’t go to the theatre excited to hear what I’ve heard before. My heart will be blessed by the sound of their new songs, fleshing out the score. The last day of the season, Bandstand will open, the debut of its writers. It’ll be the season’s second show (the other was A Bronx Tale) that tried out at Paper Mill Playhouse, where I work from time to time. The prodigiously talented Andy Blankenbuehler is staging it and the star is Laura Osnes: reasons to go; reasons for optimism. Used to be, we’d wait months and months between new musicals. This spring, they’re busting out all over. Where have all the love songs gone? Long time passing. So, I’m not going to discuss La La Land but one thing that struck me relates to Valentine’s Day and something of an existential crisis for me. At no point do the characters sing their affections for each other. In that way, the much-praised movie is markedly different from the cinematic musicals it seeks to emulate. But I worry that this is a sign of our times, and scarily common in stage musicals. Not a lot of songs that say “I love you” these days. Is there really any danger that love is now outmoded? That passion is really passé? How can I ever find my way? There’s another consideration to be had in any discussion of romanticism in lyrics: the audience’s perception. Most people who make love in song come across to most people as either unschooled doe-eyed ninnies or total bullshitters. What would be your reaction if you saw a teenaged boy in real life say to his girlfriend, “Today, the world was just an address” or “Tonight there will be no morning star”? You’d think he was a bullshitter, because the falseness of those lines would convey exactly that. First, I’m grateful to hear a different view. Second, why compare musicals to real life? Nobody attended West Side Story for an accurate depiction of the city’s gang wars. Third, if there’s a weakness in the quoted lyrics, well, declarations of ardor would appear to be Stephen Sondheim’s weak suit. But I must admit I’m haunted by something here. If a younger generation finds expressions of passion corny, outmoded, or unnecessary, well, what the hell am I? Every day, I’m endeavoring to create a musical about people who love each other, and, by God, at some point they’re going to express it to each other. Am I writing a show that no one wants to see? “Born Too Late” seems an appropriate way of describing me. We all know there was a far earlier point in the history of musicals in which the main reasons shows existed was as settings for love songs. Rodgers and Hart, the Gershwin brothers, Cole Porter and their contemporaries saw Broadway as the principle launching pad for chansons d’amour. The Age of Standards was a time when virtually every popular hit was birthed on the Great White Way. Sure, eventually, shows started telling stories that had intrinsic value, but I maintain that one of the principle reasons we love West Side Story is that we’re drawn to Tony and Maria earnestly warbling “Tonight there will be no morning star.” Still, in 2017, it’s a well-loved show. When musicals shy away from romance, well, that seems to me oddly self-defeating. Musicals, more than any form, tell romantic stories in a powerful emotional way. They’re obviously different from plays in that whatever point is being put across the footlights is aided by harmony, orchestra, the power of singing. And an audience that can accept the convention of characters singing their hearts out is more likely to be accepting of pronouncements of passion. If you find such things hoary, or embarrassing, you might not like some of my musicals. There are plenty of Sondheim shows in which nobody sings about happy romantic feelings, although precious few have premiered in the past 30 years. And some stories can be pretty compelling without characters who serenade a beloved – I’m thinking of two arresting pieces composed by Jeanine Tesori: Fun Home and Caroline, or Change – but I’m one who finds the subject interesting enough to write about again and again. That today you would be standing at my side? I, too, am embarrassed that I’ve solidified my old fogey status with a reference to a long-forgotten contraceptive. Yes, I can remember a time when there was a word for people unfamiliar with Ortho-Creme: Parents. 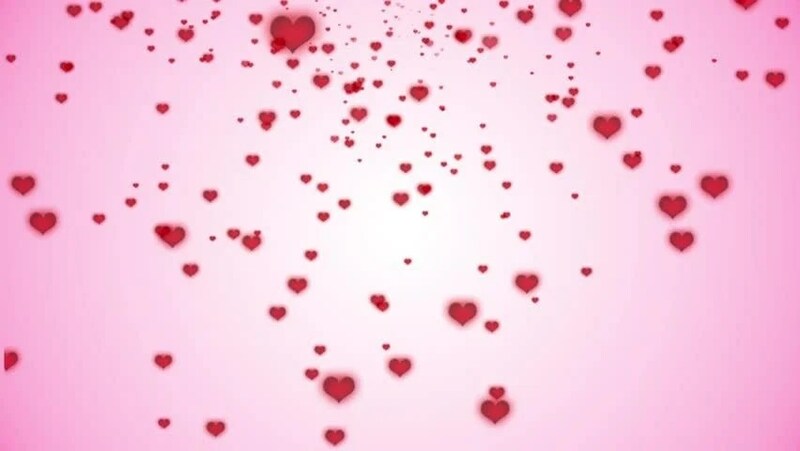 And with that, I wish you a wonderful Valentine’s Day. Just as Rocky Horror sings of a pelvic thrust that will drive you insane, Narrative Thrust is that thing that will drive your audience to emotional investment in your characters and their plights. A show that fails at this, no matter how strong its other elements may be, will leave viewers uninvolved. I just caught Encores’ mounting of Big River, the Tony-winning Huckleberry Finn musical. There were some entertaining things about it, but narrative thrust was nowhere in sight. Don’t blame Mark Twain, author of the source material for two other musicals Encores did in a way that captivated. The authors of Big River, William Hauptman and Roger Miller, were completely new to musical theatre and made many beginners’ mistakes. Landesman’s husband Rocco had the idea, back in the days when producers would get notions and will musicals into existence. So Hauptman was commissioned to adapt America’s most-hailed novel even though he’d not written a play in the seven years prior. There’s one very moving speech, and some funny parts, but the libretto is a collection of episodes, barely connected to each other. I was reminded of another odyssey of a naïve young man, Candide. Either show can be described by a popular title from contemporary children’s literature, A Series of Unfortunate Events. Various bad things happen to good people, and more than a few seem fairly arbitrary. What’s lacking is the sense that one thing is leading to another, with cause and effect. Huckleberry Finn and Candide are both portrayed as young men of limited intelligence. Choices they make are sometimes made for no good reason. But the real problem is that nothing matters. In successful storytelling, events lead to other events, like dominoes falling. Actions have consequences. When actions don’t have consequences, you’re training your audience not to care. What the characters do shouldn’t or needn’t be invested in, since they lack lasting implications. They don’t affect the things to come. Act Two of Big River (the better of the two) is filled with oddities. Huck watches as two charlatans con a grieving family out of a large inheritance. He then steals the money – a bold action with absolutely no consequences for him – and stashes it in a coffin which is then buried underground. Habitual theatre-goers would naturally see this as something similar to Chekhov’s gun on stage. It’s bound to get fired, right? Alas, no consequence; nothing made of it. At least, you might think, Huck has learned some lesson about imitating relatives who are likely to show up a day or so later. Nope: In the next scene, he does the same thing, albeit for a nobler purpose. Lucky for him, the late-arriving kin is his old pal Tom Sawyer. Books can afford to be episodic. We don’t read The Adventures of Huckleberry Finn at one sitting. We put the book down, at the end of a chapter, and return to it later. Twain addresses the ethical crisis of his century, slavery. A century later, over two hours, this musical makes the stunning political pronouncement – Slavery Is Bad – and it’s too many years after Emancipation for this to have much piquancy. 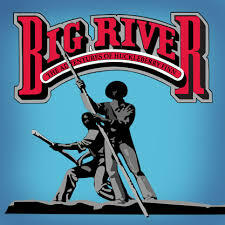 In an odd coincidence, Roger Miller had not written a song in six years prior to Big River, and, on the day of the first rehearsal, he still hadn’t written a song for the show. It’s easy to imagine a musician with limited knowledge of theatre and how it works, picking little moments to musicalize. Some of his songs are quite charming. I’m a sucker for a country waltz, so get some pleasure from You Oughta Be Here With Me, well-warbled by Laura Worsham here. But each act has a moment when a minor character runs on stage and energetically presents a dumb little ditty that has nothing to do with the rest of the show. There’s way too many numbers that don’t move the plot and I suspect Miller and Hauptman had no concept of how this might be a problem. When a song lands in Big River, it seems it’s almost by chance. So the passion and energy behind Muddy Water is a pleasant uplift. The raft leaves the dock and it feels as if something’s taking flight. That’s the seventh song in the show: I was quite impatient by this time. But it’s better than one might expect of neophytes. The bigger question remains: Why do producers, again and again, call upon people who’ve never written for the theatre before to give it a try? Are they hoping for another Big River? That good fortune will emerge from the combination of a famous title and the quirky talents of a music world superstar? Usually, the Twain don’t meet. Heard a rumor that there’s a film musical in development about Industrials. And since most rumors turn out to be false and the overwhelming number of movies “in development” never actually get filmed, it seems foolish to wait around for a flick not-yet-flickering to answer the question. I can tell you what an Industrial is, and commemorate my own experience working on one twenty years ago. An Industrial is a musical that is created not for the general public to see. Some large company – not normally a purveyor of entertainment – wants to put on a show for a specific audience, usually at a convention. In the sixties, when, say, Milliken, wanted to display its new line of textiles for industry buyers, they’d do it with a song and a dance and top-flight Broadway talent (Tommy Tune, Chita Rivera, Bock & Harnick, Bob Fosse). Big business could pay significantly better than hit-or-miss Broadway, and there’s been many a year when the bulk of Jason Robert Brown’s annual income has derived from his work for State Farm. In the late nineties, I spent much of my time working with improv groups; I also taught improv. I got to know a lot of performers in what was then a fairly small community (it’s now enormous). A particularly close friend was a manic and driven young talent named Michael Bridenstine. And, from doing countless shows together, we had a great deal of trust in one another. So, when he told me he was working with Rafi Reguer, who’d been one of my improv students, on a special project, I instantly knew to say yes. And. Rafi worked for a company, a discount brokerage called Waterhouse Securities. Every year, it held an annual convention for its employees, and part of that was some silly piece of entertainment. Rafi was responsible for making the assembled conventioneers laugh, and this year, the beloved founder, Larry Waterhouse, was retiring. This meant that Rafi and some executives faced the problem of outdoing their previous efforts. He and Bridenstine decided to put this problem – How do we give Larry a proper send-off? – front and center. They created a video mockumentary about the company entertainment committee commissioning a Broadway-style musical commemorating Waterhouse’s career. It would show the behind-the-scenes preparation, including auditions and rehearsals, and the task of writing a Broadway-style score fell to me. Rafi collaborated with me on the lyrics, and here we were on unequal footing. As I’ve mentioned countless times here, the key component of effective comedy is knowing your audience. Rafi knew his fellow employees. I knew squat about what a discount brokerage does. So, Rafi would say things like “if this lady says the words ‘she’ll do’ it will get a big laugh” and I was forced to trust him. We were also on unequal footing since Rafi had hired me with company money: In that sense, he was my boss. And that’s the thing about Industrials: you, the artist, must please the executives. He who pays the piper calls the tune. Happily, we had a great deal of trust in each other, and each brought a different element to the table. I know from musical comedies. Michael knows from funny videos. Rafi knew what the hell a brokerage is. As the piece evolved, I found my collaborators admirably receptive to my ideas. There was a place for a ballad that would be so sentimental, it might make people cry. There was an opening number that could also have served as a jingle for the company. And, when I heard the employees included the boss’ sons, identical triplets, I had the idea to have them come into the screen one at a time in a line. So, during Three Heads Are Better Than One you see one identical triplet, followed by a second identical triplet, followed by a black performer who didn’t look like the first two but could clearly out-sing them. The video shows the third triplet’s disappointment in not getting cast as himself. Rafi and Michael wouldn’t remember this, but the best time I had on the project was recording the music with a sound engineer. He had one electric keyboard, and we kept creating new tracks in which I’d add sounds until we got something that sounded reasonably close to a Broadway orchestra. You could call that orchestration-on-the-fly because we didn’t take much time doing it. Rare is the chance to say “Let’s add a muted trumpet” and suddenly it’s there. Rafi appreciated this enough to create and distribute a CD, which includes all those tracks, sans vocals, so you hear the score as sung and then you hear the score with just those synthetic instruments. It’s one of my favorite things to listen to, always bringing up warm memories, and Rafi wrote some extremely complimentary liner notes. So it’s just like a normal cast album. Except, of course, that there’s nothing quite normal about an Industrial. Larry: The Musical never appeared on any stage. Nor was it intended to. The video, The Making of “Larry: the Musical” won three industry awards (I’ve a statue, a huge poster, and the CD framed in the manner of Golden Records) and this was screened for 500 Waterhouse employees in a Las Vegas ballroom. I didn’t get to attend, but, again, trust Rafi: “They laughed their heads off,” he told me soon after, “and during your sentimental ballad, there wasn’t a dry eye in the house.” I’m proud to have unleashed the Waterhouse waterworks twenty years ago. You are currently browsing the There's Gotta Be a Song blog archives for February, 2017.